Miles & More has once again updated their discounted mileage awards "Meilenschnaeppchen". 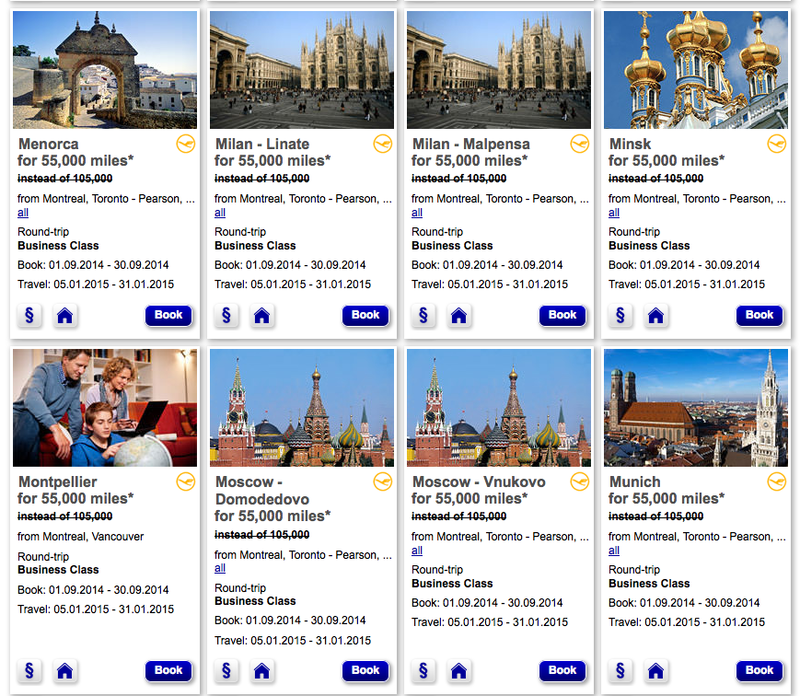 The last set had flights for travel in December from Toronto only while this set has Lufthansa flights from all three of their Canadian gateways: Montreal, Toronto and Vancouver to most of Europe for most of January 2015 in Business Class. You can redeem Miles & More miles for round trip tickets all three cities and many great destinations in Europe for only 55,000 miles in Business Class. 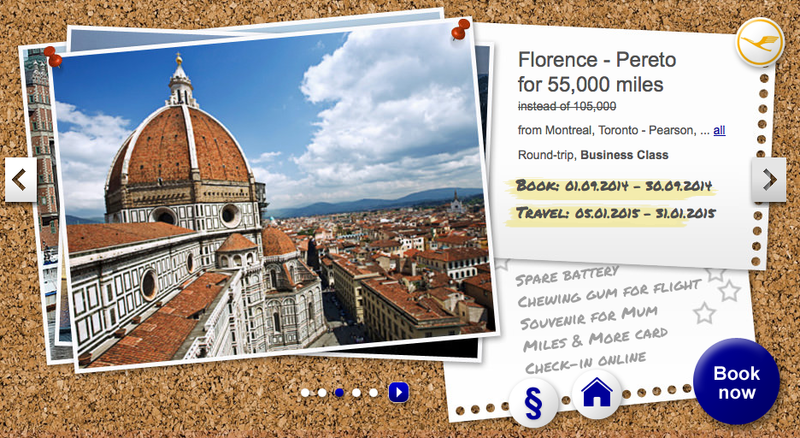 This is nearly a 48% discount off the normal Business Class award ticket price of 105,000 miles. Granted all these tickets will also have fuel surcharges but this is still a pretty good deal when you look at it as a whole in terms of miles+cash outlay. If you don't have enough miles you can convert points from the Starwood Preferred Guest Credit Card from American Express (C$1 = 1 Miles & More Mile) If you do try, remember your best bet is to transfer in 20,000 Starpoints increments as you'll get a 5,000 mile bonus meaning you'll get 25,000 Miles & More miles. Thank you very much again for share this update discount. It must help us.